Simmons have been shaping the furniture industry for the last century and are one of the most well established brands around. Throughout their 140 year history they have strived to offer exceptional value and outstanding service to their customers. 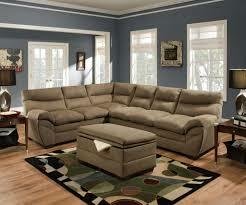 Simmons are responsible for setting the trends in the home furniture industry and have a large range of styles. Each of them have impacted the market and redefined style and comfort for the customer. 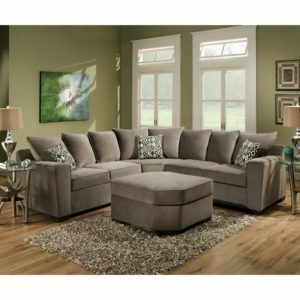 In this Simmons furniture reviews page you will learn about the history of Simmons Furniture, what they produce, Simmons sofa and upholstery reviews, and their warranty policy! United Furniture are the official and exclusive manufacturers fo Simmons Upholstery within the U.S. United Furniture have been operating since 2000 and have grown rapidly. Their ambitious goal is to become the industry leader by meeting and exceeding the needs of the customer. United Furniture have been successful in their expansion and now have factories and distribution centres across the U.S in: Nettleton, Verona, Okolona, Hatley and Amory Mississippi, Archdale, High Point, Lexington, Winston-Salem, North Carolina and Victorville, California. United Furniture’s expertly built infrastructure allows them to meet high demand quickly without waiting on the customer’s side. Universal Furniture believe in exceptional value and exceptional service. The put these values into each of the Simmon’s products that they supply and look to bring some home solutions to you. Simmons have a wide range of home furniture for the living room and specialise in upholstery. 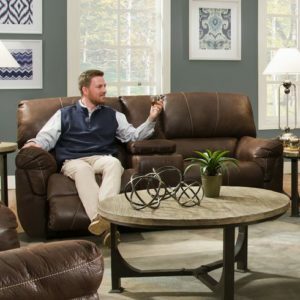 Their collection includes: Loveseats, sofas, ottomans, sleeper sofas, accent chairs, living room sets and of course recliners. Simmons target market is the everyday audience who want to get more out of their furniture. Simmons and United Furniture have high construction values. Simmons have developed a name for themselves as stylish, quality and of value to homeowners and United Furniture have upheld this. 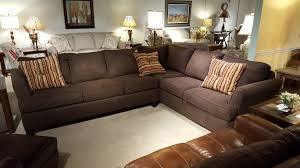 United Furniture use the best materials available, including solid hardwoods and high quality leathers. The latest methods are used to create the sturdiest furniture that will stand the test of time. Each collection has unique colouring and a unique finish to make the wood and materials longer lasting, giving more value to the customer. Simmons products have always been incredibly popular but their sofas and recliners are at the very heart of their product line. Simmons has been around a long time and used their expertise to design some useful and stylish furniture. Simmons provide a choice of different looks: traditional, contemporary or modern. Each have been uniquely created to suit your home’s existing decoration. The size and shape of each collection varies but with over 58 different ranges and living room sets you’ll be able to find the unit that makes the most of your available space. 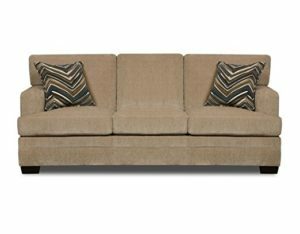 Most of the sofas come with the option of 2-4 person seating, with a choice of cushions and padding. 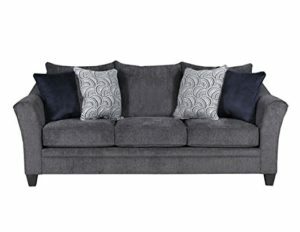 Simmons Sofas are available in a range of different colours with a variety of fabrics. United Furniture have developed some unique microfibre fabrics which offer protection from daily life and spills. These are great for those with a busy lifestyle, pets or small children. If you are interested in microfibre fabrics then I would suggest you take a look at Cindy Crawford furniture as well! 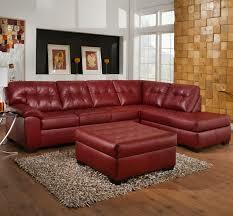 Similarly Simmons have a selection of leather sofas. These vary from white leather to chocolate brown and give a timeless classic look. The leather is durable but still soft and comfortable giving the best of both worlds. 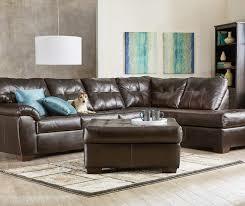 Simmons sofas are available with some motion options, including foot rests and reclining. There is a nice mix of traditional style with modern day comfort in each of the pieces which allows for better customer enjoyment. 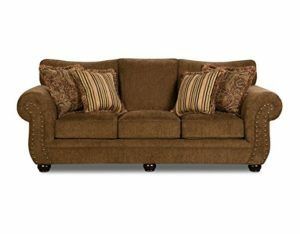 Simmons have some exquisite sofas which really bring together a living room. 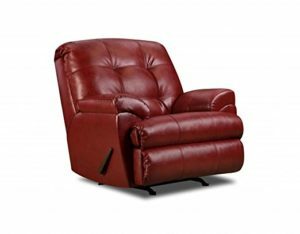 Recliners have long been the seat of choice in the living room, providing a comfortable and relaxing luxury. Simmons recliners are available in more traditional varieties or modern with a range of different fabrics, motions and extras available. Each of these are fitted with a unique mechanism that gives the full range of motion desired. The lift option is especially useful for those less mobile as it makes standing and sitting simple. Simmons recliners are available in different fabrics which, like with their sofas, can provide increased durability. 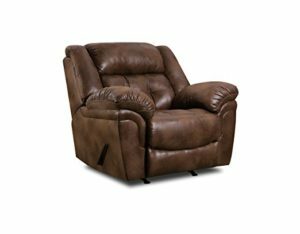 The more classic look comes from the leather recliners with unique finishes and colouring providing a more distinguished piece. Whatever your colour or material preferences there are a number of different collections to choose from. Larger theatre seats are one of the more popular varieties but traditional rockers still have their place in many American homes. 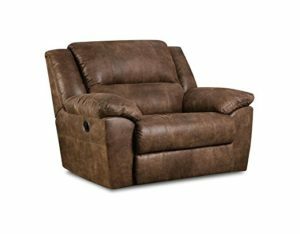 Simmons recliners feature massage functions, cuddlers and even charging sockets in some of their modern models. The best thing to do is go to your local dealership and try a few out, especially if you’re considering a leather model, so you can gauge the fabrics. 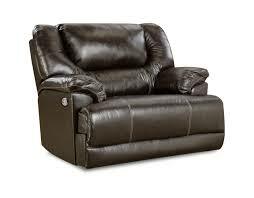 I would compare the quality of these recliners to Lane furniture recliners based on fabric and craftsmanship. Simmons and United Furniture have created living room furniture for a mix of budgets. Their more basic ranges look good and are reliable, while their top of the line units incorporate more innovation with their extra features. The construction quality seems high and the designs offer everything the customer needs. While there are few outlandish or bold style choices there are a number of classy and well built units available. 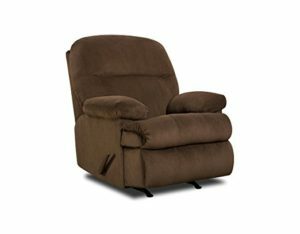 “We bought a Simmons loveseat recliner from Big Lots in Ephrata, PA. Neither is worth the room they take up. Big Lots didn't want to help with a return of this item and Simmons built a pile of junk. 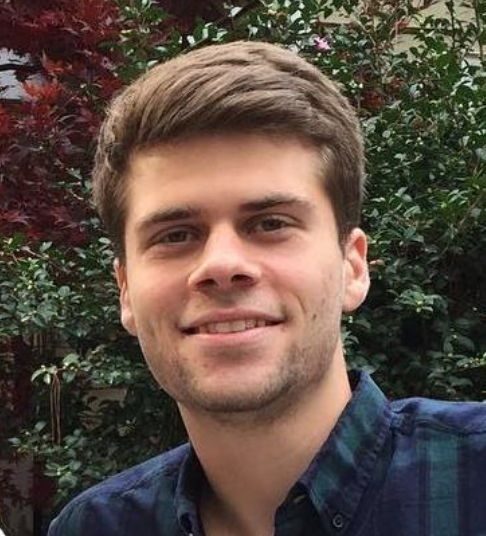 It was ripped from day one and now the recliners won't close properly.” - Pete D.
Defects and errors do occur within any company, but that doesn’t make them any less annoying and time consuming. A lot of dealerships stock Simmons furniture and It’s definitely worth finding one you can trust and have a good relationship with. It’s also always worth taking some time to check items thoroughly upon delivery so you can act fast to get a replacement. Simmons and United Furniture aren’t top tier home furniture manufacturers to the quality won’t be as high as some custom made units. If you are looking for a high tier brand I suggest you take a look at England Furniture. However generally the products are being made well and lasting as long as they should. Always make sure you check the warranty information on your specific product before you buy so you know where you stand if something does go wrong. United Furniture is confident in the quality of their products and offer a lifetime warranty on their frames and cushioning. A 5 year warranty applies to their recliner and motion mechanisms and a 1 year warranty applies to their fabrics, springs and sleeper mechanisms. All of these cover any workmanship faults or material defects but not standard wear and tear. Always remember to check with your dealer about the warranty and all the details for your unit in particular. Simmons and United Furniture pairing has brought together a healthy blend of experience and quality. Simmons expertise in the furniture industry is pretty much unmatched and United Furniture’s fairly new, but nimble, operation is definitely up to scratch. 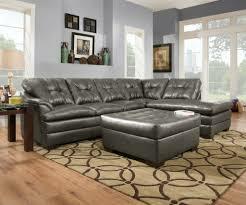 Simmons and United Furniture are providing a fast and efficient service along with style and longevity. If you’re looking for a cost effective living room set then they’re definitely worth checking out. Find your local dealer through their site today. 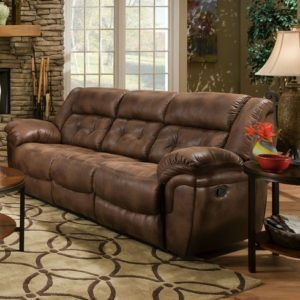 I hope you have enjoyed this Simmons furniture reviews page, if you are interested in other furniture reviews check out our living room furniture page!